Our latest exhibition, on the theme of alcohol and temperance, will appeal particularly to all those taking part in Dry January, and anyone else taking a break from the booze after the festive season. This exhibition showcases a number of items from the College library and archive, touching on the history of the temperance movement in Scotland, and looking at changes in medical attitudes towards alcohol over the years. 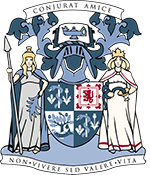 Further evidence of the power of the temperance movement in Scotland can be seen in a small book, Moral Statistics of Glasgow, by William Logan, the commissioner of the Scottish Temperance League. This work, published in 1849, cites a wide range of facts and figures to demonstrate the damaging effects of alcohol on the populace of Glasgow. Intemperance is given as the cause for a whole host of social ills, including disease, derangement, pauperism, prostitution, juvenile delinquency, and “Sabbath profanation”. There’s plenty to be said in support of alcohol too. Also featured in the display is a book of 18th century case reports from our Adopt a Book collection. 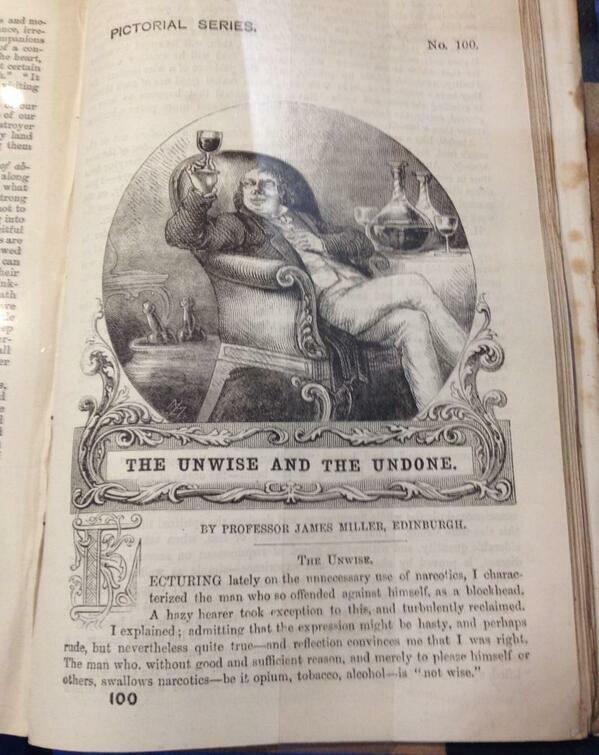 The book includes a report by the Scottish physician James Currie, detailing the treatment of a patient with tetanus. The man was treated, apparently successfully, with port wine, consuming 110 bottles in the space of 42 days. Perhaps surprisingly, the College library also holds a number of items on the subjects of brewing and distillation. The items selected for display include a rare English translation of the 19th century French “bible” of absinthe distillation by Pierre Duplais, and a pamphlet on the processes for manufacturing brandy, whisky and rum. The exhibition will be on display until Monday 3rd February. The College is open to the public 2pm-5pm every Monday, when visitors can view exhibitions and paintings in the Crush Hall, and see Audubon’s Birds of America in the Library Reading Room. For more information, or to arrange a visit at another time, please email library@rcpsg.ac.uk.